This document describes the Complaint Handling Policy of Ranebrook Windows, which has been implemented to ensure compliance with the laws and regulations relating to complaint handling. 2.1 – Minimize damage to our reputation and reduce the risk of litigation by handling complaints from our customers. 2.2 – Provision of an effective means for customers to comment if they are in any way dissatisfied. 2.3 – All complaints will be dealt with in a timely, efficient and consistent manner. 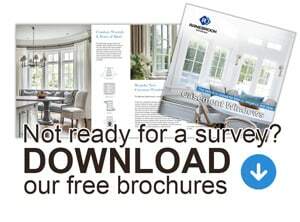 2.4 – A clearly defined procedure to enable any customer to feel confident in making a complaint and the way that Ranebrook Windows will deal with it. 3.1 – Any customer or someone acting with their authority can use this complaints procedure. 3.2 – A member of the public who has been directly or indirectly affected by the actions or lack of action by a Ranebrook Windows Employee. 4.1 – A customer or their representative (with their specific authority) wishing to make a complaint can do so in writing via e-mail or letter, by phone or face to face. 4.2 – A member of the public who wishes to make a complaint about any action or lack thereof by Ranebrook Windows, its employees or contractors should follow the same procedure 4.1. 5.1 – Complaints received by any of the methods will be acknowledged in writing within 7 days of receiving it, enclosing a copy of this Complaints Procedure Document. This acknowledgement will include information aswhich department or employee will be dealing with the complaint. 5.2 – Ranebrook Windows will then arrange a visit to your home or the premises where the installation was undertaken if different to your home – to discuss and hopefully resolve your complaint. We will do this within 14 days of sending you the acknowledgement letter. Records will be kept at all times during this stage on/in the customers unique customer records. 5.3 – Within 5 days of the visit we will write to you to confirm what took place and any solutions that were agreed with you. 5.4 – If you do not want this home visit, or it is not possible we will send you a detailed written reply to your complaint, including suggestions for resolving the matter, within 21 days of sending you the acknowledgement letter. 5.5 – A complaint will be considered “closed” if you write to accept the findings of our response or fail to respond within 6 weeks of receiving the communications, detailed in points 5.3 or 5.4 above.